I was able to finish the wiring smoothly by removing the garnish. This review is about item#35719144. I did not know the existence of this harness, and it was a place where wiring was drawn by soldering pin one by one pinch. It is convenient to use without problems. Although Suzuki genuine was difficult to replace to a Honda car, smooth installation was completed thanks to this product and it was greatly appreciated. We will continue to search for your products and we would like to use it. This review is about item#35719117. This review is about item#35719135. Disposable rather than washing at low price, ordinary superior! Since each harness has a tag, it is convenient to wire without mistakes. 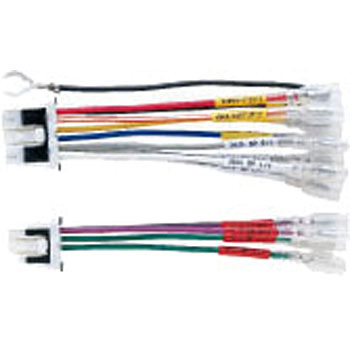 Because wiring and connectors are different by maker, use it. Convenient. I hope these parts are fun. In a sense it's recycling. It is easier and faster to work than when car navigation is stolen and wiring is broken by removing the dash panel and wiring harness. It is very satisfying with easy installation. I was giving up because it was not in a nearby store, but it was nice to have it. Easy mounting complete No problem. There was no problem, it was completely corresponded to the purpose of use.